The PEAR personal training smartphone app has just received a major makeover. Today, PEAR Sports released PEAR 2.0, the latest iteration of the company’s personal training and fitness-tracking app. The PEAR 2.0 system was designed with the aid of over 50 fitness experts, athletes and coaches to create custom workout experiences for each different user. There are over 500 unique workout programs available for the app to combine. It can help with a varied range of fitness goals, whether you want to relax and tone through yoga, boost flexibility or build serious muscle. The program is meant to evolve with you, too, recommending workouts based on your progress and goals. And, once you've selected your goals, you're presented with a range of workouts each time you're ready to run, bike or hit the gym. The PEAR 2.0 app works with its own PEAR Mobile Training Intelligence system ($75.71 on Amazon), which includes a heart rate monitor and headphones, and a number of partner fitness trackers currently on the market in case you already own one. 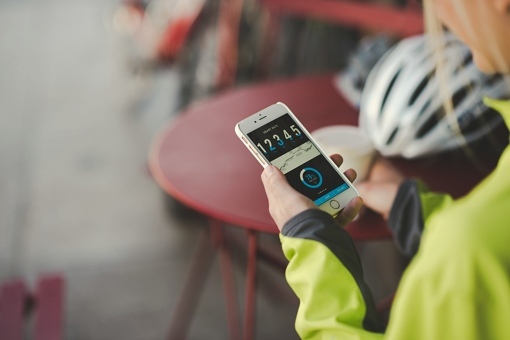 When paired with a heart rate monitor, the app provides heart rate tracking and, more importantly, VO2 max tracking – an important benchmark that many other apps and trackers don’t monitor. If you’re willing to pair the app with the Wahoo Tickr X Workout Tracker accessory ($99 on wahoofitness.com or Amazon), you’ll unlock movement detection features that enable the app to coach you through specific exercises, including push-ups, crunches, lunges and squats. The app will even count your reps for you and encourage you to complete each set. The app gives you a number of different options as far as payment and usage go. If you buy a PEAR Mobile Training Intelligence system, you'll get a month of free service. And if you already have a monitor or want to use the app without a monitor, you can purchase individual reusable workouts for $0.99 each. Unlimited workouts are available for $3 per month or $30 per year. The PEAR 2.0 app (iOS) can be downloaded via Apple iTunes. For more information about the system, visit the PEAR Sports website.